Get ready to get your extreme on as the biggest baddest racing machines in the universe invade Wisconsin, Minnesota and Iowa this Friday, Saturday and Sunday, March 25-27, for a massive Memorial Day Weekend tripleheader you won't soon forget. Summer is almost here and the heat is gonna get extreme when the fire-breathing speed demons of the United States Modified Touring Series hit the Mississippi Thunder Speedway in Fountain City, Wis., this Friday for the 11th Annual Coca-Cola Classic presented by Coca-Coca Bottlers on Winona and Pink Out Night to benefit the Gundersen Medical Foundation’s Steppin' Out In Pink program. More than ten years ago, Todd Scharkey won the first-ever USMTS race in Fountain City when the track was known as the Tri-Oval Speedway. Kelly Shryock, Brad Waits and Al Hejna also won main events on the old configuration. Bob Timm took the reins in 2009 and with him came a new configuration for the track, a new clay surface and a new name. Since then, Ryan Gustin has posted four USMTS victories, plus a $40,000 win two years ago by holding off Scott Bloomquist in the USRA Modified Nationals here. Brad Waits won in 2011 to become the only driver to get the job done on both the old and new track layout, and Jon Tesch won back-to-back races in 2011 and 2012 to be the only other USMTS multi-race winner at MTS. Tim Donlinger, Tommy Myer, Terry Phillips, Jason Hughes, Rodney Sanders and Zack VanderBeek each have one victory here. The pit gate will open at 4 p.m. and grandstands open at 5 with hot laps at 6:30 and opening ceremonies at 7 followed by green-flag action from USMTS Modifieds, Black Horse Bar & Grill USRA B-Mods, REDBOX+ 600 Mods, Jailhouse Saloon USRA Hobby Stocks and Harmston Trucking MTS Hornets. Adult general admission is $20, senior citizens (65 and older) are $18. All students (with valid i.d.) and teens ages 13-17 are $5, and all kids ages 12 and under are absolutely free. Pit passes are $35. Race fans can pick up coupons good for $2 off adult admission at Casey’s General Stores locations in Preston and Rochester, Minn. To find the location nearest you, visit www.caseys.com. 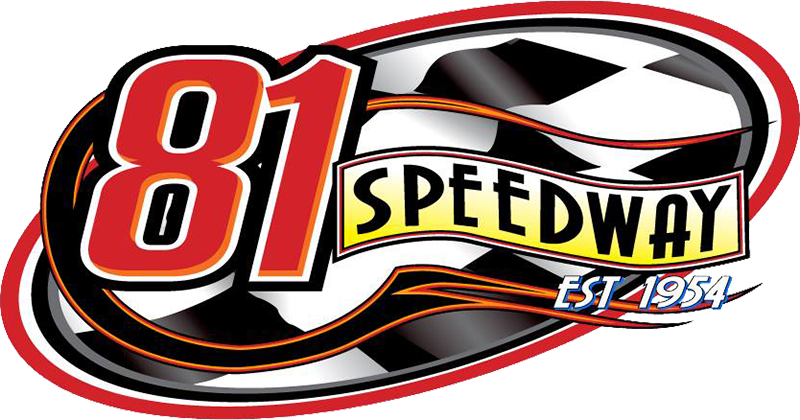 The Mississippi Thunder Speedway is a 3/8-mile high-banked clay oval located 3.0 miles north of Fountain City on SR 35 (2895 WI-35, Fountain City, WI 54629). For more information, call (507) 429-9639 or (608) 687-3282 or visit www.mississippithunder.com online. On Saturday, it's another collossal clash at the high-banked Deer Creek Speedway in Spring Valley, Minn., for the 16th Annual A&A Electric Southern Minnesota Spring Challenge. Shryock is second on the all-time list with 10 wins while Rodney Sanders has collected eight checkered flags and Ryan Gustin has seven, including three of the last four last September. Tim Donlinger and Terry Phillips have five wins each. Ryan Gustin, Jason Cummins and Brad Waits have four apiece. Cade Dillard, Zack VanderBeek, Joey Jensen and Brandon Davis have each won three times. Two-time winners include Corey Dripps, Jason Krohn, Ryan Ruter, Stormy Scott and Lucas Schott. Drivers who have visited Deer Creek Speedway’s victory lane one time include Mark Noble, Steve Wetzstein, Darin Walker, Tony Fraise, Dan Daniels, Chad Kinder, Mark Burgtorf, Brad McEwan, Randy Timms, Dean Mahlstedt, Tommy Myer, Mike Sorensen, Mike Spaulding, Dan Chapman, Les Duellman, Mike Hejna, Steve Arpin, Jon Tesch, Jordan Grabouski, Jeremy Payne, Craig Thatcher and Tommy Weder Jr.